The other day, whilst plundering the internet for information on all things weird and unusual, I came across a YouTube video about the Paris Catacombs, a vast, seemingly endless rabbit warren of tunnels and rooms that house the long moldering bones of countless former Paris residents. The video was a curious thing to watch. It was a short film about a video recorder that was discovered in the catacombs. It showed footage of someone’s visit to the Parisian underworld. Whoever it was seemed to start off on their investigations happily enough but, after a while, they begin to panic. Are they lost (highly likely)? Do they fear they are being followed by one of the terrifying gangs rumoured to haunt the gigantic underground cemetery? Whatever the person is experiencing, it’s enough to make them start running until they finally drop the camera and just keep running, never to be seen again. Perhaps it is just someone’s idea of a (rather questionable) joke. Or perhaps whoever it is is still down there in the endless miles of tunnels and has never…made…it…out. I suppose the first question is, how did Paris come to have a giant bone yard below its streets? The catacombs began life as the quarries which gave birth to the sparkling metropolis we know as Paris. Paris, being the thriving, bustling metropolis that it is, is obviously going to need graveyards to bury the residents who have become… somewhat not quite as thriving and bustling, i.e. dead. 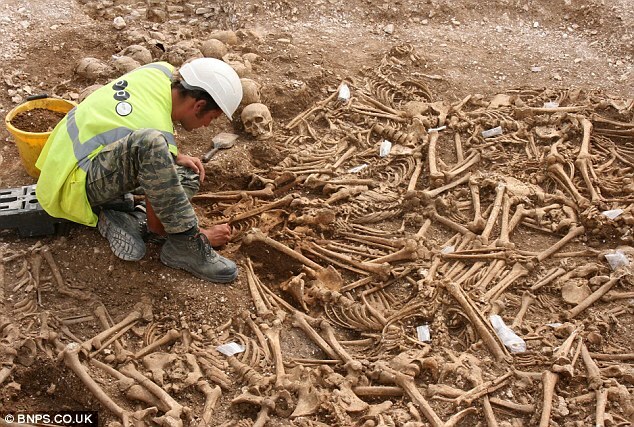 Where Did You Say You Buried The Car Keys Son? 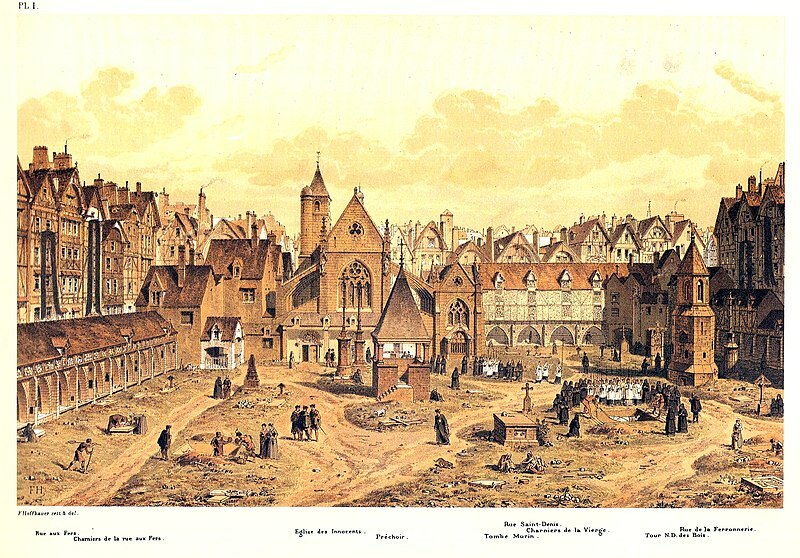 One such place was Saints Innocents Cemetery, which was once the oldest and largest cemetery in Paris. By 1780, the cemetery was awash with the many corpses that had been buried in its vast mass graves and it was decided burials within the cemetery could not go on! The cemetery was closed to all further burials. In 1786, the deep pits that had been filled to the brim with the dead were cleared out and the bones were transported to the catacombs. 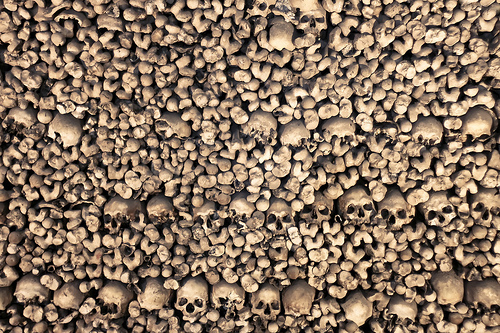 Numerous cemeteries within Paris suffered the same fate, and it wasn’t too long before the ossuaries beneath Paris were stuffed with more bones than you can shake a femur at. There are various reports on the internet as to just how vast the Paris Catacombs are. Some report there being 170 miles of tunnels and I’ve read other estimates of up to 300 miles! Perhaps some people have just got more lost than others. Police have done their best to stop people going down into the catacombs since they were closed to the public in 1955 – they seal up manhole covers and they apparently also patrol the tunnels looking for the living who are determined to party with the dead. If you know where to go, you will come across the ossuaries – rooms and rooms of bones belonging to some of the 6 million or so ex-Parisians. It’s a risky business venturing into the catacombs. If you get lost, there is a chance you won’t get out again. You can only imagine how terrifying it would be to be lost underground with a diminishing supply of food and a torch that’s seriously considering how much fun it would be to leave you in the clutches of total darkness. A chap called Philibert Aspairt who went for a nose around the catacombs in 1793 wasn’t found again until 1804. Sadly, when Philibert was discovered there wasn’t much left of him other than a skeleton clutching a set of keys but perhaps the saddest part is he wasn’t far from an exit when he died. His tomb can now be found down in the tunnels that claimed his life. I enjoy investigating abandoned places as much as the next…um…person with curiously morbid interests, but even I would think twice about heading off into the miles of catacombs looking for the infamous ossuaries. I once ventured into the catacombs at Kensal Green cemetery in London (I’d highly recommend the tour for this as, on certain days of the month, they take you down into the crypt/catacombs below the chapel and… I’ll tell you about that in another post. If you have been to the Paris Catacombs, or any other catacombs or crypts, I’d love to hear your stories.